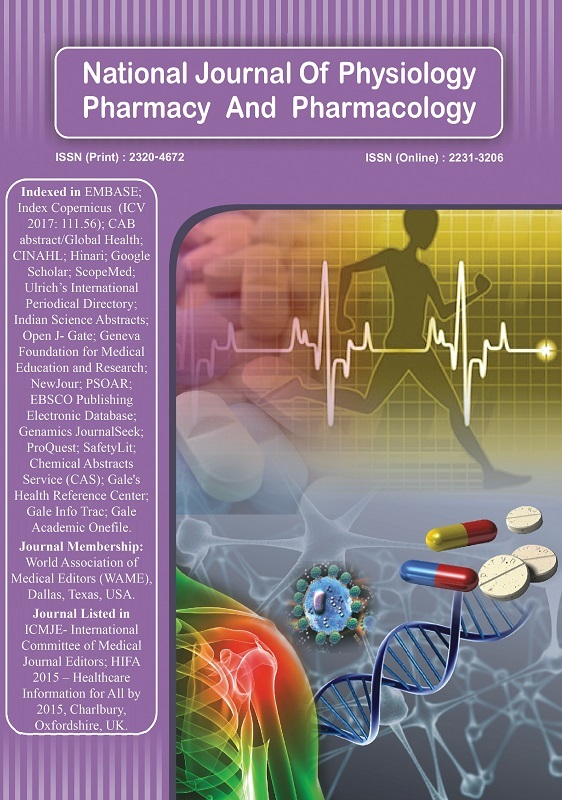 Niruba R, Bharathi C, Kannan Kumar T.
Background: Genetic predisposition is a key factor in developing insulin resistance in prone individuals. Sedentary lifestyle, lack of regular physical exercise, excessive intake of junk foods, and stress are proved to be important factor in the development of obesity. Assessing occurrence of insulin resistance earlier, an important component of metabolic syndrome can prevent the morbidity in the subjects. Aims and Objectives: This study aims to correlate body mass index (BMI), visceral fat, and subcutaneous fat individually with glycemic status of the subject and assess the better predictor of insulin resistance. Materials and Methods: Detailed questionnaire concerned with the study and informed consent was obtained from the subjects. The study included 100 middle-aged non-diabetic offspring of diabetic parents. The mean age of diabetic subjects was 39.4 years. Age - 35–45 years, subjects with BMI in the range between 18.5 and 30 kg/m2 were included in the study while diabetics, hypertensives, alcoholics, smokers, and subjects with any other recent illness were excluded from the study. Visceral fat and subcutaneous fat were measured using BC-601 TANITA bioimpedance analyzer. Fasting blood sugar was measured using single prick glucometer technique. Results: Pearson correlation was applied. Fasting blood sugar showed significant positive correlation with visceral fat and subcutaneous fat with r value of + 0.329 and + 0.464, respectively. Fasting blood sugar did not correlate with BMI and has an r value of + 0.050 only. Conclusion: Visceral fat and subcutaneous fat remain a better predictor than BMI in monitoring the preponderance to insulin resistance.